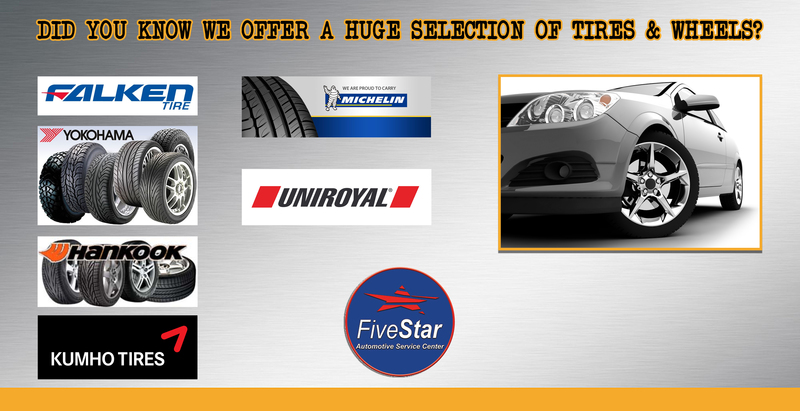 Five Star Auto Service has over 40 years of Automotive Service experience and is family owned and operated. 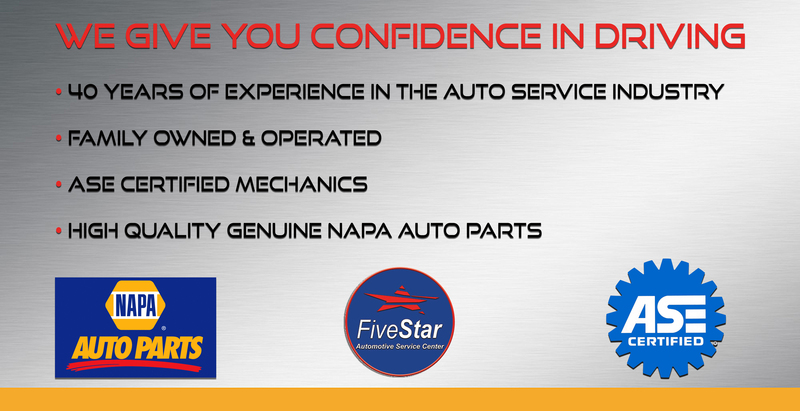 We serve the Poway and North San Diego communities with quality auto repair and services. Our ASE certified techs can service any make or model vehicle, foreign or domestic. We have a total of 8 service bays to take care of your vehicle needs in a timely manner.We take great pride in your satisfaction and repeat customers. 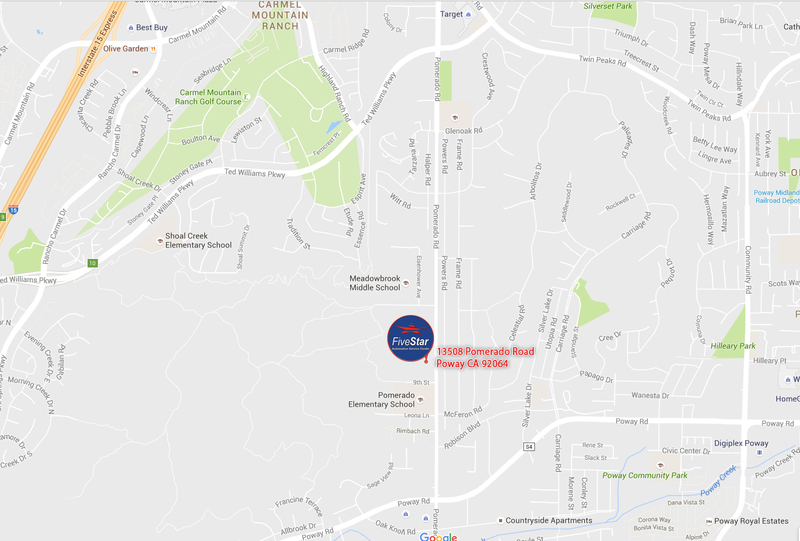 We are conveniently located in Poway on Pomerado Road just north of Poway Road. 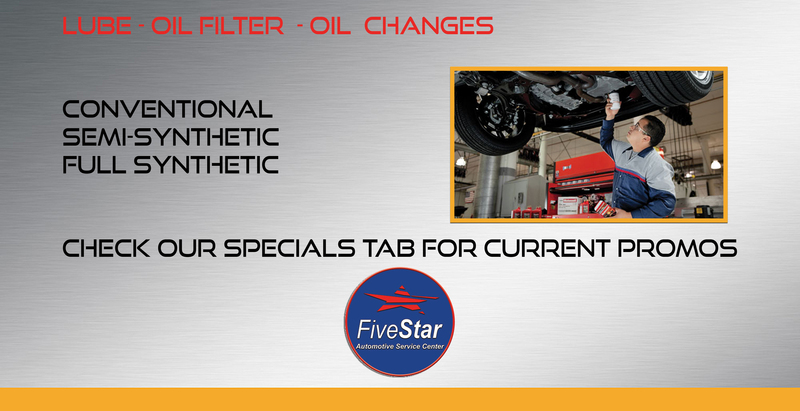 Stop by today for a Free Estimate and Vehicle Analysis. and other North County San Diego Areas.